Alia Bhatt is in a zone at the moment, where very few people reach during their career. It is indeed a special phase in her life. The young actress is also celebrating her 26th birthday today. Alia has got quite a few projects in her kitty and is hungry for more accolades and success. 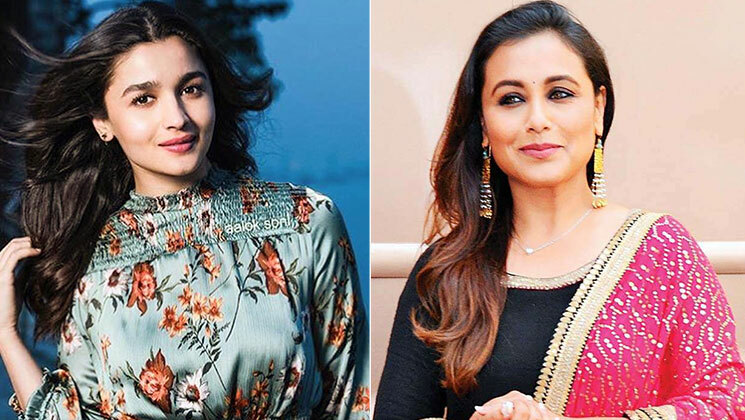 Now, Alia Bhatt was present at an award function and Rani Mukerji was also there. Rani, being a sport, sung ‘happy birthday’ for Alia Bhatt and it is such a marvelous and heartwarming moment. The actress has found a perfect balance between her personal and professional life. Alia is currently involved in a relationship with Ranbir Kapoor. Alia is awaiting her next release ‘Kalank’. The movie has Varun Dhawan playing Alia’s love interest. This magnum opus also stars Aditya Roy Kapur, Sonakshi Sinha, Sanjay Dutt and Madhuri Dixit in pivotal roles. ‘Kalank’ is being helmed by Abhishek Varman and is scheduled to hit theatres on April 17.